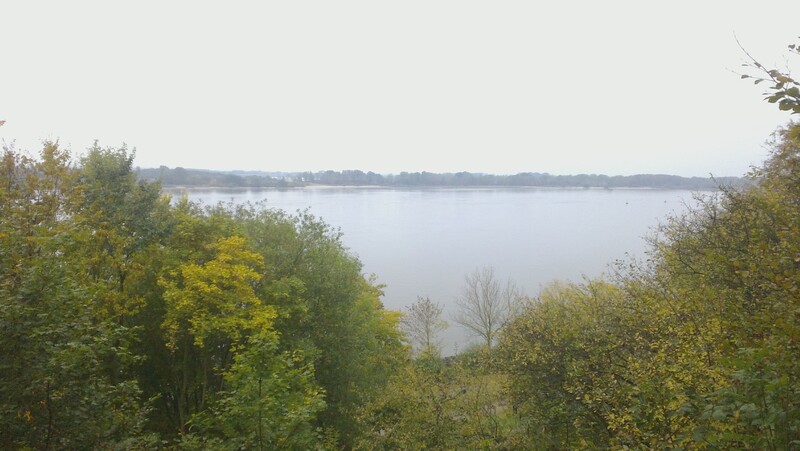 We were up in northern Germany over the weekend, near the Elbe River. The river sees major shipping traffic, massive container ships chug in and out all day long, but I caught a quiet and oddly empty morning. Ships don’t work on Sunday, perhaps? I was on an early morning run, which was soft and quiet because the ground was so padded with fallen leaves. This included the hidden path itself, which wasn’t easy to find. 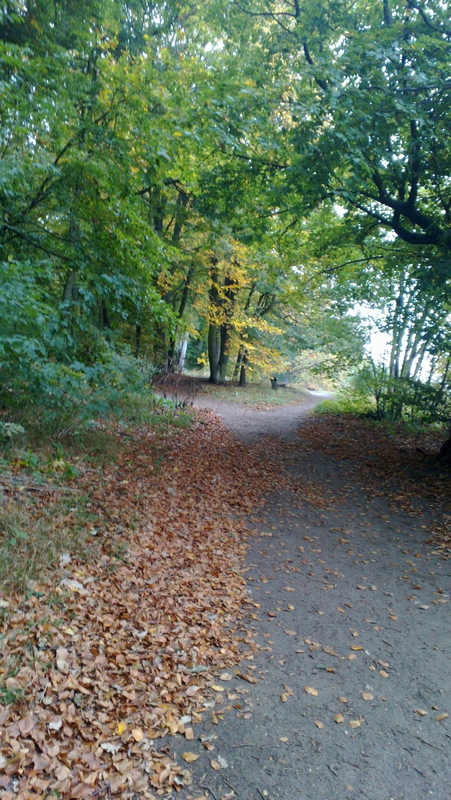 Forest path with paths hidden by autumn leaves. 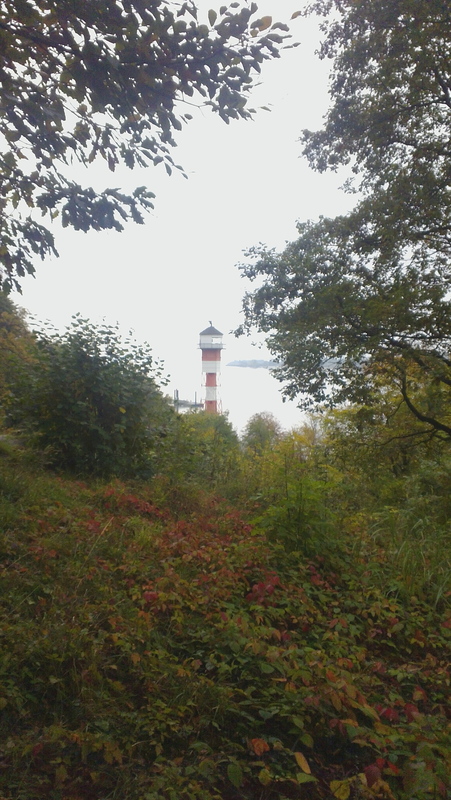 I found an idle lighthouse. Or maybe it was working, but I couldn’t see the light. A fork in the road took me up a road of pastures, gardens, and horse meadows. Until I ran past this odd menagerie out in a field. 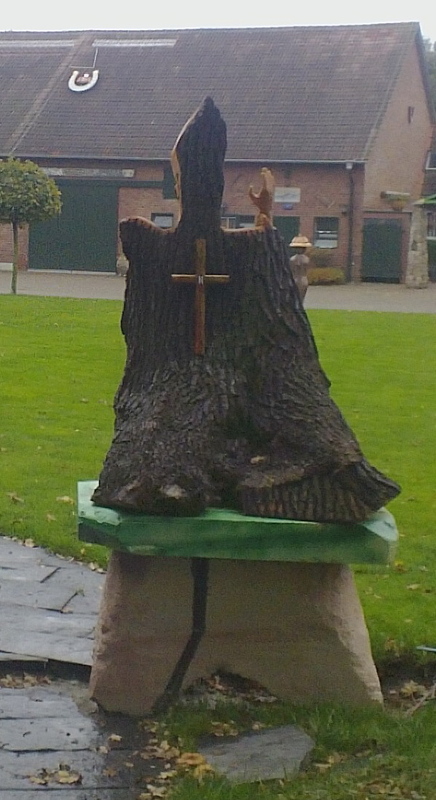 A tree trunk on a pedestal with a carved wood hand and a cross. 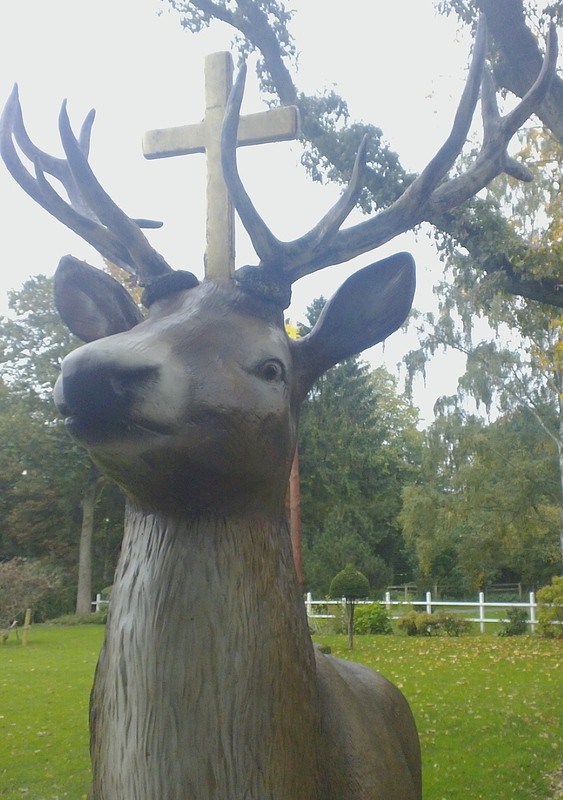 Full size stag, plastic, with a cross. It turned out the collection belonged to a Pferdespital, a horse hospital. There were many other pieces, but the collection made no more or less sense than those above. Trunks with hands, carousing wood giants, crowned stags. For me, it was a path of hidden symbols, a lighthouse of meaning that shines a light I can’t see. But the sun had come out, a rare enough occurrence on the grey banks of the Elbe, so I ran on.